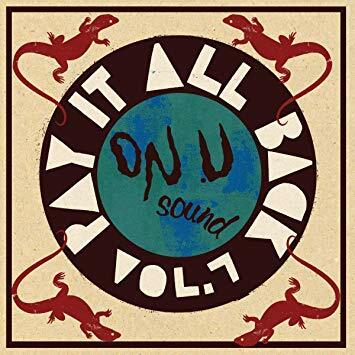 I was introduced to the On-U Sound label back in 1989, when the CD store where I worked had a copy of Pay It All Back Vol. 2 on the “Imports” rack. I gave it a spin, and my musical life hasn’t been the same since. That collection contained a dizzying array of sounds and styles, from radically deep roots reggae (Prince Far I’s “Water the Garden,” Bim Sherman’s “Run Them Away”) to techno settings of football chants (Barmy Army’s “Billy Bonds M.B.E.”), sampladelic electro-calypso (Forehead Bros.’ “Circular Motion”), and ethnographic dub (African Head Charge’s “Throw It Away”). I had never head of any of these artists before, and I spent the next two decades seeking out everything I could find by all of them, as well as everything I could dig up from the On-U Sound catalog. The latest installment in the series follows in what is now a longstanding tradition, presenting a wild mix of unreleased tracks, remixes, extracts from upcoming albums, and deep cuts from previous releases: some familiar names are back (African Head Charge, Mark Stewart, Little Axe) and some new ones are introduced (Los Gaiteros de San Jacinto, Higher Authorities, Denise Sherwood), but what remains the same is the thrilling stylistic variety–a variety that is grounded in groove, in bone-shaking bass, and in label head Adrian Sherwood’s wildly dubwise production style. And the booklet includes a comprehensive On-U Sound discography with extensive notes–a treasure trove of information in itself. This is the most exciting release of 2019 so far. Like many of the baroque masters, J. S. Bach unapologetically recycled his own music, for example recasting violin concertos as keyboard concertos and vice versa. Thus it should come as no surprise to see BWV 1060 performed by David Fray as a “Concerto for 2 Keyboards” and by Isabelle Faust as a “Concerto for Oboe and Violin” (which is what Bach scholars generally believe was its original incarnation). 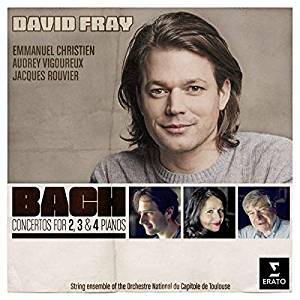 These two recordings offer a lovely and interesting blend of contrasts and similarities, among them the fact that the Fray album is recorded on modern instruments and the Faust recording on period ones. And although I’m generally a big fan of Bach on modern keyboards, in this case I have to say that the massing of as many as three or four pianos, and their presentation alongside a string ensemble of wire-strung instruments, makes for a slightly muddled sound at times (though admittedly, if the keyboard parts were played by harpsichords I suspect the problem would be even worse). The pieces for two keyboards are the ones that come across most clearly and compellingly. 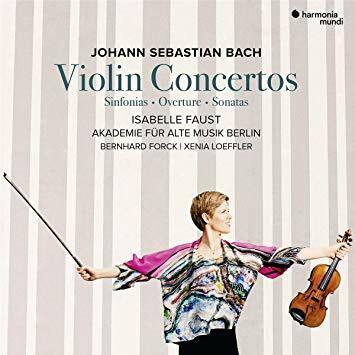 Isabelle Faust’s two-disc program benefits from its variety of instrumental forms and textures: it offers a varied program of concertos, overtures, sonatas, and sinfonias (some drawn from Bach cantatas), all performed with the outstanding Akademie für alte Musik Berlin. Faust is playing a Stainer violin that looks like it has been given a modern neck and tailpiece but is strung with gut, and has a marvelous tone. The group sounds particularly majestic on their performance of the popular sinfonia from the cantata Ich liebe den Höchstein von ganzem Gemüte, and on my favorite of all Bach’s violin concertos, BWV 1042. Both of these sets are well recommended, but if you have to pick one I’d say go for the Faust. As the press materials point out, “it is one of the great ironies of the recorder’s long history, that despite being ubiquitous in nearly every American public school program, few composers ever explored writing for it.” True enough, though I’m not sure how great the irony really is–I would argue that it’s precisely the recorder’s ubiquity in elementary schools that contributes to its unfortunate reputation as basically a plastic toy for kids. 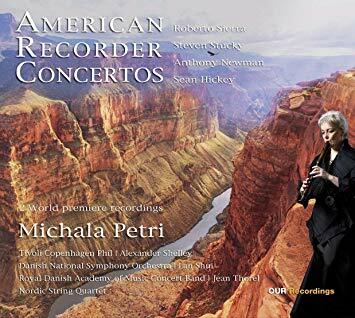 Be that as it may, luckily we have the international treasure that is virtuoso recorder player Michala Petri, who has commissioned four showpieces of contemporary classical recorder music: each of them written as a concerto, but for a variety of instrumental forces and textures, from Roberto Sierra’s and Steven Stucky’s works for recorder and orchestra to Anthony Newman’s piece for recorder, harpsichord, and string quartet and Sean Hickey’s for recorder with winds, brass, percussion and harp. Most of these pieces (two of which are presented here in world-premiere recordings) are bracingly modernist, though Newman’s harks back very explicitly to the recorder’s glory days during the baroque period. Petri is, of course, a genius. 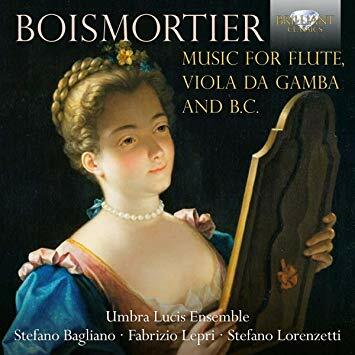 Speaking of the recorder’s glory days, here is a delightful recording of chamber works by Joseph Bodin de Boismortier, who is particularly well remembered today for his compositions for flute. This program consists of pieces in a variety of forms, from dance suites to solo harpsichord pieces and sonatas. The flute parts are played on the recorder (and in some cases on two or three recorders–bear in mind that this is the composer who wrote a series of concertos for five flutes) with that perfect blend of energy and ostentatious elegance that characterized so much French music of the period. The playing is wonderful throughout, but the recorded sound is a bit strange–warm and present but also oddly echoey. The sound isn’t idiosyncratic enough to detract from the overall listening pleasure, though. 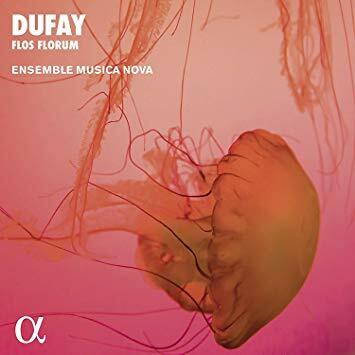 Making a very welcome return to market is this 2004 recording (originally issued on the Zig Zag Territoires label) of Marian motets and liturgical works by the towering figure of the early Franco-Flemish school, Guillaume Dufay. This gorgeous collection includes the latest of Dufay’s three settings of the antiphon Ave Regina caelorum, the one for four voices in which he repeatedly interpolates his own name, touchingly pleading for divine mercy on his own behalf. The singing is breathtakingly beautiful, rich and lush in tone despite the very small number of (mixed-gender) singers. Unfortunately, space in the booklet that might have been used to provide the sung texts is instead given over to advertisement for other releases in the series, but the music itself is simply spectacular. 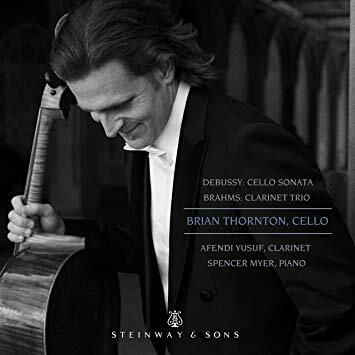 Playing alongside pianist Spencer Myer and (on the Brahms) clarinetist Afendi Yusuf, cellist Brian Thornton delivers a triumphant program that creates a fascinating juxtaposition: the relatively abstract and rather melodically arid Debussy cello sonata against the deeply poignant and melodically rich Brahms clarinet trio opus 114. I don’t mean to suggest that the Debussy work is less than brilliant, only that it offers such a dramatic contrast to the lush emotion of the Brahms work; with the Debussy we hear the 20th century being born, whereas with the Brahms we hear the dying glory of the Romantic era. Thornton is a powerful advocate for both pieces, and Yusuf is particularly noteworthy for the sweetness of his tone. Strongly recommended to all libraries. I’m combining these two reviews because both of these titles are similar in some significant ways: both consist of music than can fairly be described as minimalist, bordering on ambient. It’s also true that in both cases, the music is created by means of distorting source material. Beyond that, however, the similarities are overwhelmed by difference. 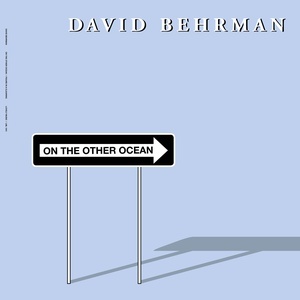 Behrman’s work (originally released in 1978, then reissued as a long-out-of-print CD in 1996, now reissued again on vinyl) was generated by what was then a state-of-the-art electronic system that “listened” to sustained tones played by live musicians and responded to them, in real time, with computer-generated tones of its own. A flutist, a bassoonist, and a cellist provided the inputs, and the resulting conversation between the musicians and the electronic feedback mechanism is beautiful, at times surprising, and always faintly melancholy. By contrast, Avocationals is a collaboration between electronic musicians Thomas Meluch (a.k.a. Benoît Pioulard) and Sean Curtis Patrick. Both have been involved in the murkier areas of pop music and Patrick has done soundtrack work. 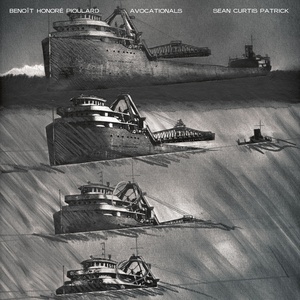 For this project, they took source material that included field recordings and heavily-processed voices (along with reel-to-reel tapes, synthesizers, and unrecognizable guitar) to “conjure up the ghosts of 20th-century Great Lakes shipwrecks.” This music is gorgeous and ghostly, sad and wonderful. It’s unlike anything else you’ve heard. Both recordings are very strongly recommended to all libraries. I know, I know — Mozart’s last three symphonies (nos. 39, 40, and 41) are among the most popular and frequently-recorded of his works, and just about anyone with any awareness of classical music can practically sing along with the opening phrases of #40, while #41 is widely regarded as one of the greatest symphonic works ever composed. So you kind of need to have a hook if you’re going to bring a new recording of them to market. 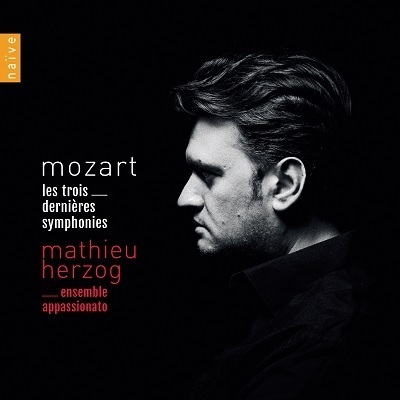 In this case, there are several hooks: one is that this is the first recording of Mathieu Herzog’s remarkable Ensemble Appassionato, an unusual group in that it is composed largely of musicians whose main gig is in chamber ensembles, notably string quartets like the Arod, the Hanson, and the Ébène (of which Herzog himself was a founding member). Also notable is Herzog’s flexible approach to orchestration and his willingness–despite working with modern instruments–to incorporate the influences of the period-instrument movement into his interpretations. Notice, in particular, the spritely vigor (not to say headlong rush) of the opening movement of the Jupiter on this recording. 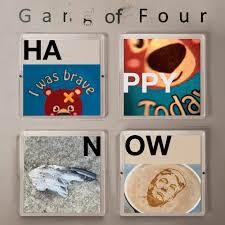 The result is a thrilling listen and a musicologically fascinating set. 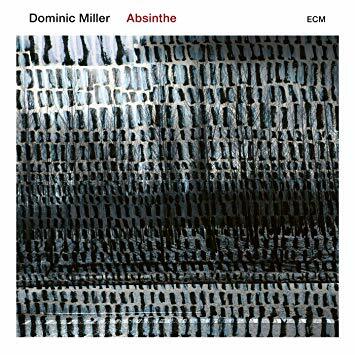 Here is a light, gorgeous, and impressionistically floating new album from guitarist Dominic Miller, assisted by bandoneon player Santiago Arias, keyboardist Mike Lineup, bassist Nicholas Fiszman, and drummer Manu Katché. The comparison with impressionism isn’t mine–it’s from an interview with Miller himself, who lives in the south of France and whose compositions for this album were significantly influenced by his thoughts about the region’s “sharp and witchy mistrals, combined with strong alcohol and intense hangovers, (which) must have driven some of these artists toward insanity: skies that are green, faces blue, perspective distorted.” But if that language leads you to expect music of lurid color and exaggerated expression (à la Toulouse-Lautrec), think more in terms of Seurat or Monet: pastel hues beautifully wielded, soft surfaces masking tight structure. This is an utterly gorgeous album. Let’s all pause for just a moment a contemplate what it would be like to live in a home in which your dad taught you to play jazz standards. 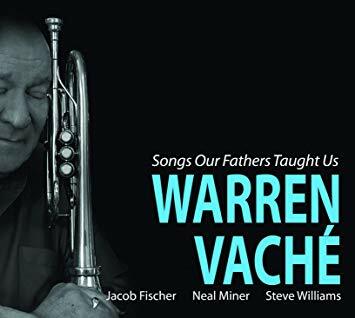 In this case, what cornetist Warren Vaché remembers are the 78-rpm shellac recordings that his dad had saved up lunch money to buy when he was a schoolboy, and which he played on the family’s record player every Saturday morning as Vaché was growing up. “Melancholy Baby,” “Slow Boat to China,” “Blue Room,” like that. Vaché plays these tunes in a soft and gentle way, even on the up-tempo numbers; there’s fire in his energy and tone, but cool restraint in his arrangements and phrasing. He’s accompanied by acoustic guitarist Jacob Fischer, bassist Neal Miner, and drummer Steve Williams–though the drums lay out for long stretches on this album, contributing to the overall feeling of relaxed warmth. Very, very nice. I’ve been a huge fan of jazz violinist Stéphane Grappelli since my teenage years (yes, I was very popular in high school), when I first encountered him through his work with David Grisman. That led me back to his 1930s work with Django Reinhardt, which still represents some of the most astonishing jazz ever recorded. This album finds him a couple of decades later, working in a German studio with pianist Maurice Vander, bassist Hans Last (who would later change his first name to “James” and become a world-famous film composer), and drummer Rolf Ahrens. 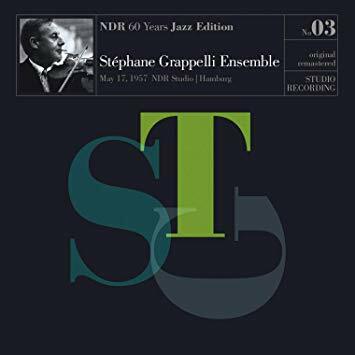 Their set consists almost entirely of standards, but what I find most interesting here is how restrained Grappelli is, compared to the constant fireworks of his earlier work with Reinhardt. The tempos are brisk but never headlong, the rhythm swings with power but not wildly. And Grappelli’s playing is absolutely elegant as well as assertive. The recorded sound is warm and rich, and feels spacious despite the monaural mix. A must for all jazz collections. 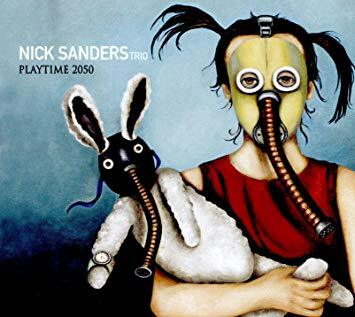 For his third album as a leader, pianist and composer Nick Sanders takes us on a fascinating whirlwind tour of styles and influences. This is the kind of approach that could easily turn self-indulgent or show-offy (“Hey, did you see how I segued straight from a stride number to a hard bop tune?”) but Sanders has too much taste for that. Instead he just gives the impression of someone whose thoughts wander in unpredictable and really interesting ways: from bluesy meditations (“Prepared for the Blues”) to modernistic math-jazz (“The Number 3,” “Endless”) and borderline avant-gardism (“Hungry Ghost”). The consistent thread is one of examination and pondering, a sense that comes through even on the knottiest and most challenging tunes. The album closes on a quiet and contemplative note with “#2 Longfellow Park.” Highly recommended. 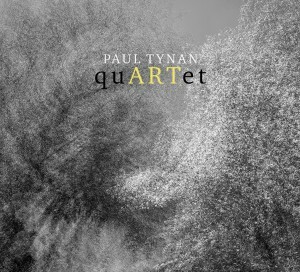 The concept behind trumpeter and composer Paul Tynan’s latest album as a leader is quite interesting: he commissioned artworks from six friends (one of them his wife), and used each piece as the inspiration for a jazz composition. But he didn’t just take a melodic idea from each image; instead, his tunes are composed and arranged in intimate conversation with the artworks. For example, Tynan is a synaesthete, which means that colors are sometimes associated with musical tones in his mind; his composition “Everything I Have” is directly informed by the colors in his wife’s painting of the same name. 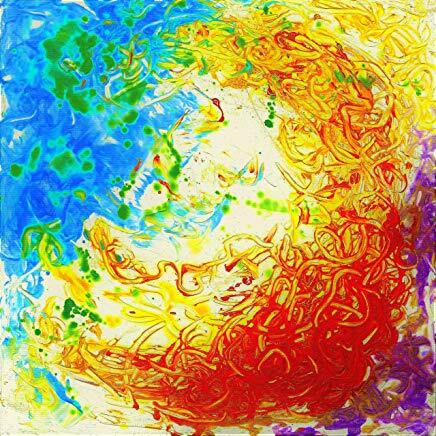 Paul Vienneau’s “Swirl” is written as a through-composed piece that reflects the nature of the painting (down to the open space near its top) and its relation to the artist’s personal life. And so forth. That Tynan’s music can do all this while also swinging mightily is quite impressive. 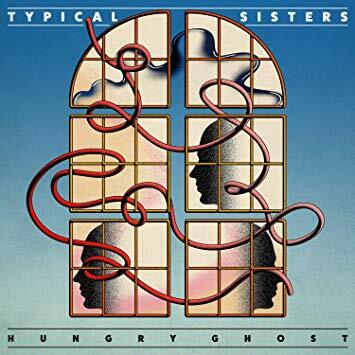 For some equally impressive jazz that doesn’t really swing at all, consider the latest from trio Typical Sisters (guitarist Greg Uhlmann, bassist Clark Sommers, drummer Matt Carroll). Again, the music is conceptual: the album’s title (which has nothing to do with the Nick Sanders composition of the same name, mentioned above) refers to the Buddhist concept of a being with an insatiable appetite, an idea with obvious relevance to our current media-saturated, hyper-materialistic culture. This music is meant to act as something of a counterbalance to that mode, although it draws pretty voraciously on cultural elements both high and low: references to a Samuel Barber piece here, elements of DJ culture there, passages of free jazz scattered in between. Nowhere will you encounter a typical head-solos-out-chorus jazz structure, but there’s no question that this is a jazz album. Imagine if Bill Evans had lived long enough to jam with Bill Frisell–maybe with John Zorn producing a couple of tracks. Very, very nice. 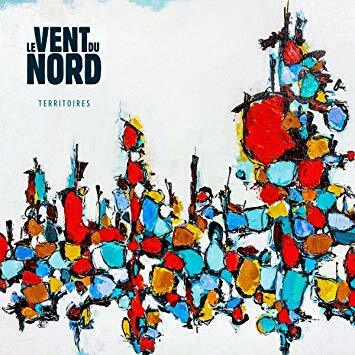 Without adding anything as overt as electric instruments or drums, the latest album from leading Québecois folk band Le Vent du Nord somehow manages to feel more rockish than its earlier efforts–maybe it’s an added lushness to the production, or the bluesy piano elements that pop up on “Reel du capitaine,” or just a subtly increased sense of chestiness and bravado in Nicolas Boulerice’s singing. Otherwise, we get more of what we’ve come to expect from this magnificent group: rollicking croooked-rhythm fiddle tunes, lots of call-and-response singing, a seamless blend of modern and traditional songs, all played with infectious energy and airtight musicianship. There’s also a bit more politics than usual this time out, but unless your French is very good you may not catch most of it. 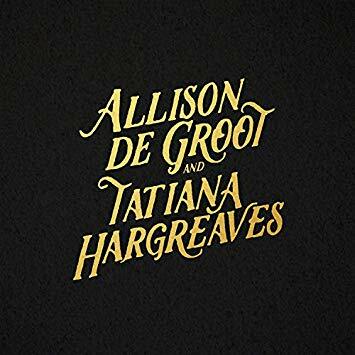 Fiddler Tatiana Hargreaves (who has worked with Gillian Welch and Laurie Lewis, among others) and clawhammer banjo player Alison de Groot (of Molsky’s Mountain Drifters) have joined forces for this dynamite celebration–and extension–of the ages-old fiddle-and-banjo tradition. Combining vocal numbers both old and new with traditional fiddle tunes, they resurrect the deeply strange and lovely playing style of Mississippi fiddler John Hatcher on “Farewell Whiskey,” an equally strange arrangement of the familiar classic “Buffalo Gals,” a gender-tweaked version of the Blue Sky Boys’ “Who Wouldn’t Be Lonely,” and lots of other gems of old-time and new-old-time music. This is a technically impressive album, but more importantly it’s a fun, even thrilling one. I was introduced to Kim Lenz ten years ago, when she was fronting a rockabilly-revival group called the Jaguars and recording for the late and much-lamented Hightone label. At the time I found that I loved her voice and her energy, and wished that she’d write more memorable tunes. Now I’m catching up with her and finding that the years have been kind: her voice is even better, her energy is more restrained but just as intense, and she now writes undeniably catchy melodies. 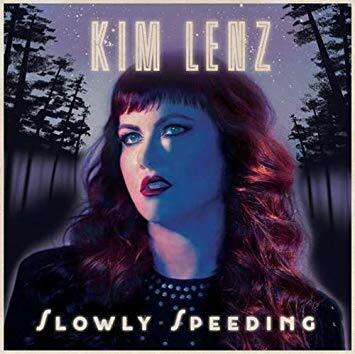 On the aptly titled Slowly Speeding, she harnesses that predatory intensity to focus on mid-tempo songs, all of them dark and smoldering and generally feeling more like gothic country than rockabilly. Her band doesn’t have a name anymore, but it’s got that great loose-but-tight feel that many groups spend years striving for. Strongly recommended. 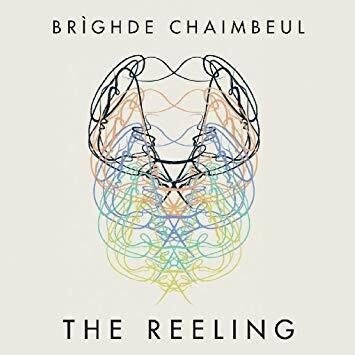 Brìghde Chaimbeul is a gifted player of the Scottish smallpipes, an instrument closely related to the English Northumbrian smallpipes and the Irish uillean pipes. What these instruments have in common (apart from their relatively small size, as one might guess) is a much lower volume and a much softer and more plaintive tone that those of their more famous cousin, the great highland bagpipes. On her debut album, Chaimbeul generally avoids both frenetic reels and dirge-like slow airs (both of which are commonly played on her instrument) and instead focuses on medium-tempo tunes, gathered from the playing of other musicians and from the Patrick McDonald collection and played with minimal accompaniment. Interestingly, these are interspersed with traditional pipe tunes from Bulgaria, which nestle quite comfortably in among the Scottish numbers. Chaimbeul is a player of rare grace and taste, and will bear watching in the future. 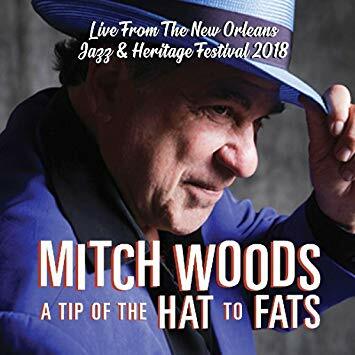 Subtitled “Live from the New Orleans Jazz & Heritage Festival 2018,” this disc documents a set played by pianist and singer Mitch Woods as a tribute to local hero Fats Domino. It finds him at the head of a sextet that features three saxophones and a rhythm section, playing a very fun set of old and old-style R&B tunes by the likes of Professor Longhair, Leon René, Woods himself, and of course Fats Domino — plus a rollicking rendition of Hank Williams’ “Jambalaya” (not exactly an R&B tune, but definitely a solid choice for the venue). Woods and his band are having a palpably good time, and the recorded sound is surprisingly good for a live album. Despite just a bit too much between-song patter, this album would make a great choice for your library’s next staff party. 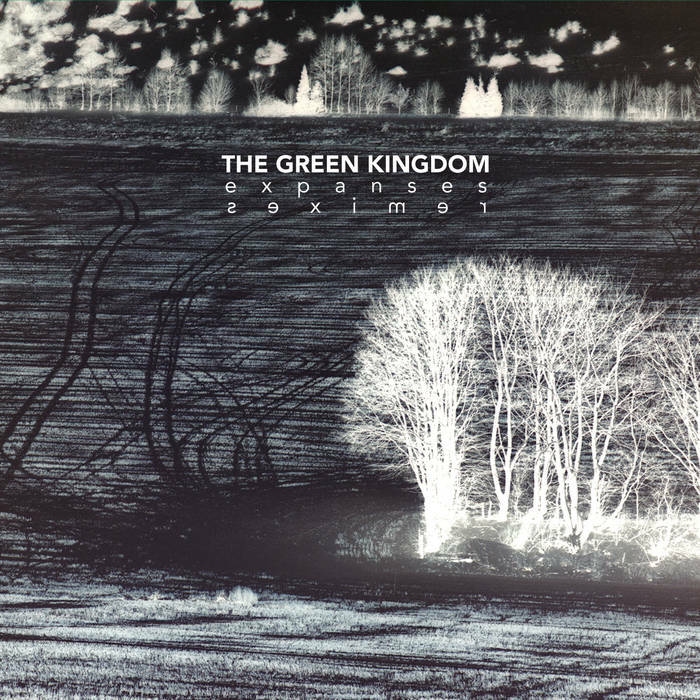 The Green Kingdom is Michael Cottone, a Michigan-based sound artist. Five years ago he released an album called Expanses, which was conceived as an “homage to classic ambient and techno albums of the past, albeit passed through the filter of dusty samples from old vinyl and classical records, the odd guitar melody, electronics, and some soft rhythmic pulses.” The album was more successful than he anticipated, and is now being brought back to market with the addition of a bonus disc consisting of remixes by the likes of Halftribe, Hotel Neon, and Fingers in the Noise. The fact that none of the original tracks was titled makes it a bit difficult to keep track of which remix matches up to which original version, but it turns out not to matter: the remixes are, for the most part, just as ethereal and abstract as the tunes on which they’re based, and all of them create a mood that is eerily and utterly beautiful. Even though it’s only April, this one already has my vote for Best Ambient Release of 2019. At first glance, this collection would appear to be similar to the Green Kingdom reissue reviewed above; however, it’s completely different. 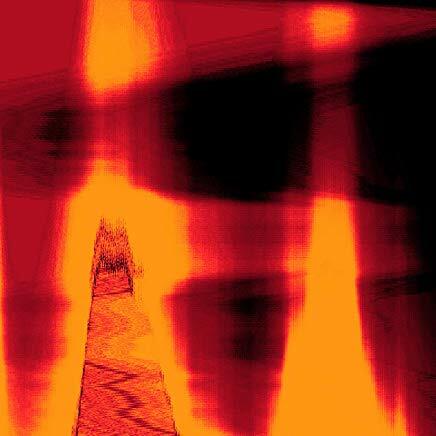 Rather than an expanded reissue of Daniel Avery’s album Song for Alpha, with remixes appended, it’s actually a compilation of B-sides and outtakes related to that album alongside a generous program of remixes by the likes of Luke Slater, Four Tet, Giant Swan, and Surgeon. Where Green Kingdom tends strongly towards the abstract and ambient, however, Avery always has one foot on the dance floor: this collection includes regular incursions of techno thump and invigorating breakbeats as well as more quiet and introspective fare. What’s consistent throughout the program, though, is his intense attention to detail: the more you listen, the more subtleties you’ll catch, and Avery’s mastery of texture and space is even more impressive than his way with a beat. 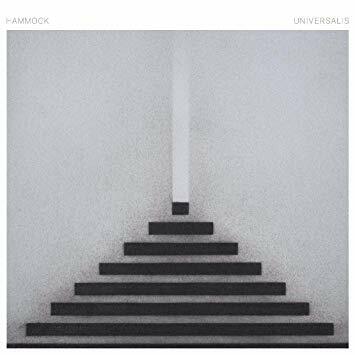 And if you like your electronica much more on the lush and relaxing side, then definitely consider this ravishingly lovely new album from Hammock. This is the second in a projected three-album series (all of which will apparently have Latin names; the first one, issued in 2017, was titled Mysterium), and like its predecessor it seeks to split the difference between ambient electronica and neoclassical experimentation. Maybe “split the difference” isn’t quite right; this would never be mistaken for academic classical music–too much guitar, too little dissonance. But there’s much more here than just easy-listening sound sculpture; whereas Mysterium was an attempt to process the experience of grief and loss, Universalis is a move in the opposite direction, towards recovery and uplift. And in its quiet way it achieves that movement powerfully and propulsively, particularly on slow-moving but richly dense tracks like “Cliffside” and the orchestral “We Watched You Disappear.” Utterly gorgeous. 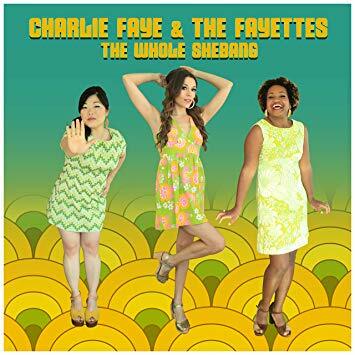 Back in 2016, Charlie Faye & the Fayettes delivered a delightful celebration of the girl-group sound, an unapologetically and unambiguously retro program of contemporary songs in 1960s style. For their follow-up, they’ve moved the clock up a few years, still knee-deep in the sixties but now starting to edge their way into the 1970s as well, with lusher strings and horn sections–and funkier beats. “That’s What New Love Is For” is horn-driven R&B, while “Say Those Words” draws on surf guitar and “Riding High” evokes the Carpenters. As always, Charlie Faye’s bell-like voice is as central to the group’s appeal as the sweet melodies she writes (sometimes with and sometimes without the help of Bill Demain). Listen carefully and you’ll hear some fairly contemporary political messages too, particularly on the album-closing “You Gotta Give It Up (Party Song)”–a tune that hints at the possibility of a New Wave element in their future work. Recommended. The opening bars of the first song on Gang of Four’s tenth album will have you checking to make sure you didn’t cue up Solid Gold instead – those jagged, off-kilter shards of guitar sound for all the world like the intro to “Paralysed.” But any illusion that we’re back in 1981 disappears quickly as it becomes obvious that Gang of Four is now just guitarist Andy Gill and three other guys, drummer Hugo Burnham and bassist Dave Allen having decamped long ago, and original vocalist Jon King gone since 2012. But those three new guys are monsters: bassist Thomas McNeice and drummer Tobias Humble generate a groove that maintains a perfect balance between heavy and nimble, while singer John Sterry provides hints of the band’s past sound without actually directly imitating King. Lyrically, the band’s dry, cynical worldview is less explicitly Marxist than it was 40 years ago, but then, whose isn’t? The hooks are pretty dry and cynical as well, but they’re there if you listen. In April of 2018, sarangi player Shyam Nepali and acoustic guitarist Charlie Giagiari sat down in a Boston recording studio and spent four hours improvising together. This album documents that session, with extracts from it given titles like “The First Step without Shackles” and “Growing Wings on the Way Down.” Those who have had alarming experiences with free-improv music in the past should rest assured: in this case, “free” doesn’t mean either chaotic or skronky. It means spontaneously composed, but still richly melodic and harmonically logical. Nepali’s sarangi keens and soars while Giragiari’s guitar alternately plays melodies in unison and counterpoint, and drives the proceedings chordally. The resulting music is bittersweet and beautiful, sounding neither exactly like South Asian music nor like American music, but like something quite different from either. Very, very cool. British producer Wrongtom has been the genius behind a whole slew of outstanding reggae and dancehall releases over the past decade, and his latest release is sort of a conceptual expansion on the “Wrongtom Meets” idea that has found him collaborating with the likes of Deemas J, Roots Manuva, and the Ragga Twins. 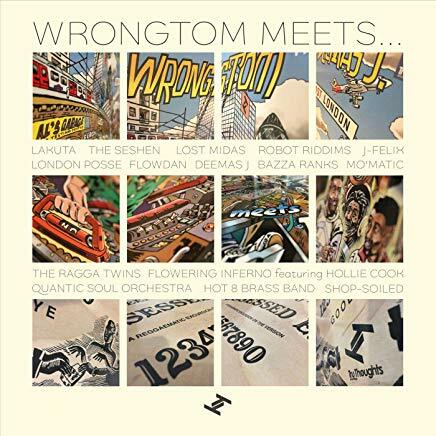 Apart from those album-length projects, Wrongtom has also kept himself busy with one-off production and remix gigs, and this digital-only compilation album brings together a bunch of those (as well as some examples of other artists remixing his own work). As you might expect, the result is a solid winner: a dubwise take on the Hot 8 Brass Band’s version of “Sexual Healing,” a remix of Lakuta’s supremely woke “Bata Boy,” reworks of several Ragga Twins numbers, and much more. This is not only one of the best reggae albums of the year, but also one of the best party records of the decade. Croatian folk-rock is pretty unique-sounding. 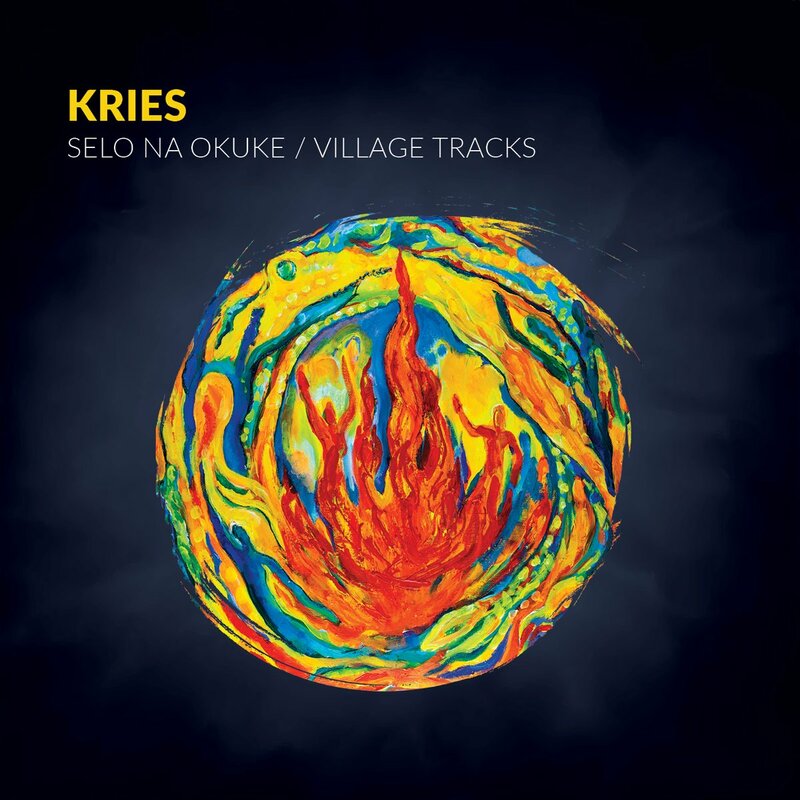 If the style of Kries is typical–and honestly, I don’t know how many Croatian folk-rock bands there are, so “typical” may not be a very apposite term here–then it’s characterized by rhythms that stomp more than they dance, and by deep, declamatory unison (not harmony) singing, sometimes in a call-and-response mode. This eight-piece band sounds like it consists mostly of drums, though electric guitar and bass are credited as well, and there are regular irruptions of keening bagpipes. There’s a political subtext here as well–the message apparently being one of unity in the wake of murderous division–but unless your Croatian is much better than mine you’ll catch it mainly by inference, and by knowing that Kries is made of of members from across the Balkan region. Anyway, the music is both interesting and profoundly stirring. A horn-driven Bay Area Latin funk supergroup featuring members of Tower of Power, Primus, Santana, Spearhead, and Los Mocosos? Yes, please! The latest from Hip Spanic Allstars delivers all the warm, funky joy you’d expect, providing a perfect soundtrack for warm (or even cool and foggy) summer nights hanging out with your friends on the sidewalk. 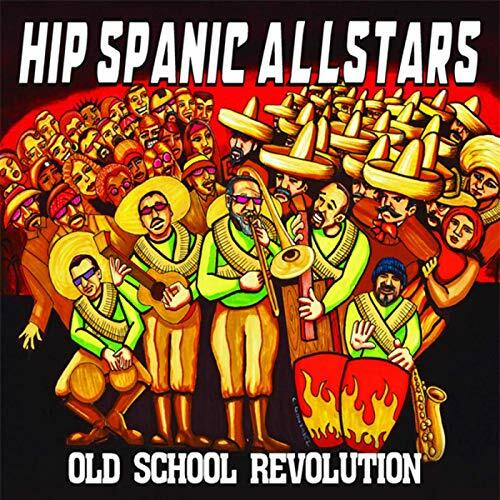 When they say “old school” they mean it: there’s nothing modern about the Hip Spanic Allstars sound. This is a celebration of 1960s-style Latin soul, salsa, funk, and even zydeco, with Cuban and Puerto Rican elements mixed in as well (and maybe a hint of ska if you listen closely). It’s nothing but pure joy, and as I look out the window at the late-March snow falling outside, I feel like it’s exactly what we need right now.